To answer to such demands, A Plus Dental has included full mouth rehabilitation in its dental services. This rehabilitation includes a combination of a multiple dental treatments to improve aesthetic and oral health. If you have various dental problems, full mouth rehabilitation might be the best for you! 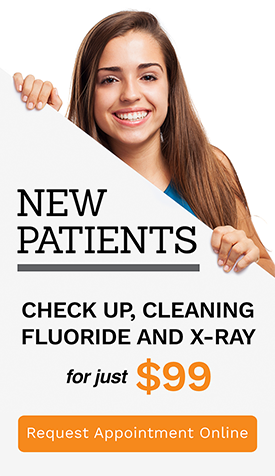 Talk to your A Plus Dental dentist today. A full mouth rehabilitation is the combination of various dental treatments for total reconstruction of the entire mouth. Everything that affects your oral heath is addressed. Problems in your teeth, gums, soft tissues, and jaw are looked into for an overall improvement. The result is improvement of your teeth’s strength and beauty, and optimum oral health. Who needs a full mouth rehabilitation? A full mouth rehabilitation is recommended for those who need a number of dental treatments at once. Most patients are those who put off dental visits for a long time and now have a number of dental problems, from tooth sensitivity to missing teeth. This dental treatment is also appropriate for those who have dental work that is now malfunctioning due to natural wear and tear or due to neglect. Full mouth rehabilitation allows harmony among the dental treatments performed, thereby ensuring longevity, beauty and total comfort. The combinations depend on what the patient needs. Full mouth rehabilitation combines general dentistry services with cosmetic and restorative services. After the treatment, routine check ups are recommended for your dentist to monitor your progress and the status of your oral health. The following are the common dental treatments combined for a full mouth rehabilitation. Your oral health affects your general wellbeing. Be at your best with full mouth rehabilitation at A Plus Dental. Solve all your dental problems at once!